British Columbia has so many outdoor activities to offer and my husband and I love to get out and travel this beautiful province. One of our favourite things to do is geocaching. Regardless of where we stay we are almost certain to be within walking distance of a geocache. Geocaching is an outdoor treasure hunting activity using GPS-enabled devices. Participants navigate to a specific set of coordinates to find the geocache (container) hidden at that location. Recently my husband and I did an April road trip from Vancouver to Alberta driving Highway 3 through the Crowsnest Pass. We found 17 Caches which ranged in size from the size of your fingernail to as large as an Ammo box. The larger caches contain tradable items and they are usually trinkets for kids. Some have a theme. One of the larger ones is called “The Library” and contains books you can trade. We have kept things like a yo-yo, passport case, train whistle, and geocaching pins and patches. All contain a log which you sign and then you also register your find on line. You can take anything you want if you replace them with items of equal or greater value. Geocache – some are as small as your finger nail! Our first stop was Manning Park where there was still an abundance of snow on the ground. In the late spring and summer you can hunt for more than 200 caches in this park. We easily found a cache beside the highway and so went on the hunt for another. Unfortunately, our enthusiasm for the hunt overcame our ability to think rationally. This next cache was near a beaver dam and in the summer I’m sure it is a lovely spot but we never got that far. Thinking we would have no trouble driving to it we set off along a snow-covered backroad and finally we high centered on the snow. We tried valiantly to dig ourselves out but finally had to resort to flagging down help back on the highway. Thankfully, we were freed and soon on our merry way. Will check that cache next time during summer weather! We stopped at Hedley where I had a run in with a wood tick! Well, it found me first. It wasn’t until I returned to the car that I discovered it. I was checking my iPad and the tick landed on the screen. I assumed it dropped out of my hair! I spent the rest of our trip somewhat paranoid but it is a reminder that we must be more careful when out among the bushes and grass. On we went to Osoyoos where we found three caches. Instead of just driving along the lakefront we stopped to enjoy a stroll and admire the fountains and early flowers. Leaving town, we pulled off at two viewpoints to retrieve two more caches. Without the added incentive of finding the caches we probably wouldn’t have stopped here but we were glad we did as the views were lovely and one of the caches was hidden in a very ingenious way. Continuing along Highway 3 we approached Salmo. There are 79 caches in the area and an added bonus was a delightful stopover at the best café of the trip. The Dragon Fly Café serves great food and you can enjoy the company of the locals and admire the amazing photographs and artwork. There appear to be a lot of very avid geocachers in the Cranbrook area with a whopping 218 caches in a five km radius from the centre of town. People often place caches in their favourite spots and these places are not necessarily in the tourist brochures. One of these examples is a cache in the Cranbrook Community Forest called “Meager Meander”. Other locations along the Hwy 3 route where caches are located include 26 registered in Creston within a 5 km radius. In Hope you can hunt for 60, Keremeos 12, Osoyoos 18, Greenwood 64, Grand Forks 85, Castlegar 99, and Fernie 67. We’re looking forward to returning this summer to find many more! 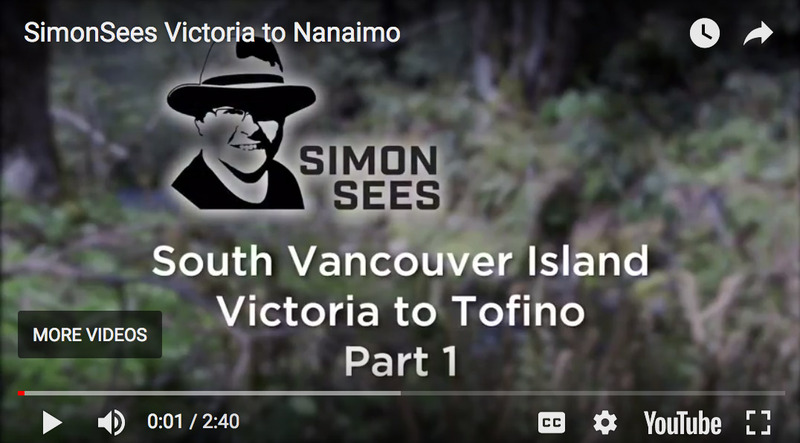 3 thoughts on "Geocaching on a Road Trip from Vancouver, British Columbia via Highway 3"
We’ll be travelling from the Okanagan to the Kootenays this summer and love geocaching -thanks for this post and the tip about the Dragonfly Cafe in Salmo, we’ll be sure to stop in if our route takes us through! Glad you liked the post, Heather. Enjoy the Kootenays. There is a great campground on the Slocan Lake in New Denver that I would highly recommend!